Which are the oldest wine companies? A question that crosses the minds of many wine enthusiasts. The official birth of viticulture goes back to four thousand millennia before the birth of Christ. Since the early years of history, the wine was considered an elixir of the gods and a beverage reserved for the privileged few. 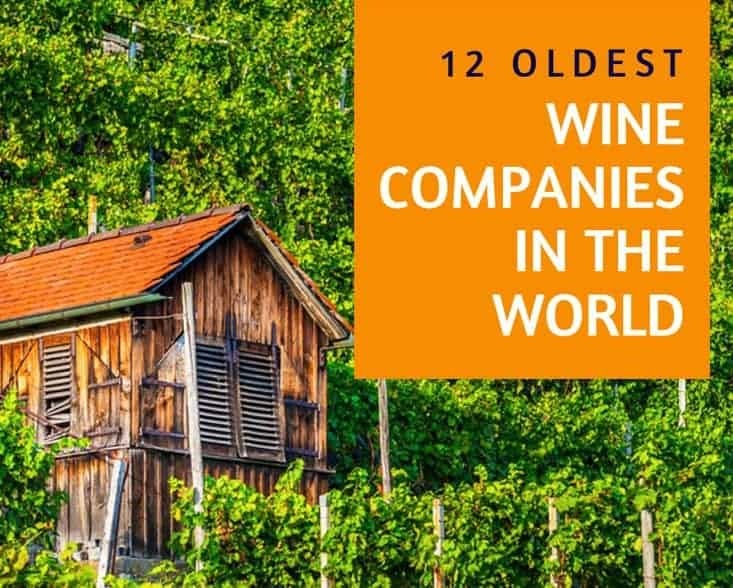 Nowadays, wine is no longer an exclusivist drink, therefore enjoy a glass of sparkling Prosecco while finding out which are the 12 oldest wine companies in the world. The Staffelter Hof is one of the oldest wine companies in Germany. Its name is linked to a monastery in Belgium and its winemaking history goes back to the 862 AD. The winery produced wines exclusively for the monastery until the secularization during the French revolution and subsequently, the company was bought by Peter Schneiders, a vineyard manager responsible for the success and longevity of the company. Today, the company is focused on the production of Riesling wines, although they also have an exquisite red, made from the Spätburgunder grape variety and aged in oak barrels. The Loire Valley is a region famous for its spectacular landscapes, medieval castles, and exquisite wines. And one of the oldest wine companies in France and in the world is located here. The Château de Goulaine’s history goes back to the year 1000 when Marquis Goulaine founded the first winery in France. The winery still belongs to the same family and produces some excellent Muscat and Vouvray wines. For this reason, the company is considered the oldest European family owned winery. It is also believed that the company produced the first commercial Chardonnay in the western Loire Valley. Although Germany is not one of the leader winemaking countries, it boasts some of the oldest wine companies. In fact, Schloss Johannisberg winery is the third on our list and its history begins in the year 1100. Initially, the winery was a religious site that has been converted over time into a wine-growing company. The winery claims to have discovered the late harvest winemaking technique and although their claim is debatable, Schloss Johannisberg still made the first Spätlese Riesling in the world. Other exquisite wines produced for the first time by the company are Auslese and Eiswein, two varieties particularly appreciated in Germany. In 1141 Baron Ricasoli establishes the oldest wine company in Italy that still bears his name. The winery is located between Siena and Florence, an area particularly famous all over the world for the great quality of the wines. Barone Ricasoli winery is a pioneer in the production of Chianti wine and also one of the major wine exporters of the Middle Ages. In fact, since the late 1600s, the company started to export its wines to the Netherlands and England. Until the beginning of the 20th century, the Ricasoli wines were exported to almost all over the world, including China and Saudi Arabia, Guatemala, South Africa, and Costa Rica. One of the greatest achievements of the company is the choice of the Sangiovese grape variety as the main vine for the production of the classical Chianti wine. 39 years later, in 1180, in Italy emerges the second oldest wine company of the country, the fifth in the world. Antinori family started producing wine in the Florentine countryside to then move to Florence in 1202. In 1385 the winery joined the Guild of the Winemakers, and this is also the official date from which the company has started to be seen as a business. Initially, the winery focused on the production of Chianti Classic variety and it reinvented itself in 1971 with the launch of the first Tignanello wine obtained from a blend of Tignanello, Cabernet Sauvignon and Cabernet Franc grape varieties. This wine literally shook up the Italian wine industry leading to changes in winemaking rules and attitudes. Another exquisite wine the company produces is Cabernet Solaia, a perfect blend of Tignanello and Bordeaux grapes. Back to Germany, we have to mention a wine company founded in 1211 that became famous mainly for its Rieslings, the Schloss Vollrads winery. The company started trading wine for the first time to the Saint Viktor monastery in Mainz, and the cultivation of Riesling developed steadily ever since. Today, the winery brags about its ancient origins and opens its gates to visitors. Besides wine tasting and wine and food pairing courses, it is also possible to attend the harvest period and even follow the growth of the grapes in real time from anywhere in the world. Without a doubt, both Italy and Germany have a word to say when it comes to the oldest wine companies in the world. In fact, the seventh oldest winery is considered to be the Frescobaldi, in Tuscany. The winery roots are set in 1308 and the history of the company is closely linked to the evolution of art in the region. According to the Frescobaldi family, the company was the wine supplier of the Italian Renaissance painter Michelangelo. Frescobaldi also started to export wines and was one of the preferred wine suppliers of King Henry VIII. The company is also a pioneer of the modern wine production in Tuscany and responsible for the introduction of the Merlot, Chardonnay and Cabernet vines to the region. Founded in 1335, this centuries-old winery is considered to be the eighth oldest wine company in the world. 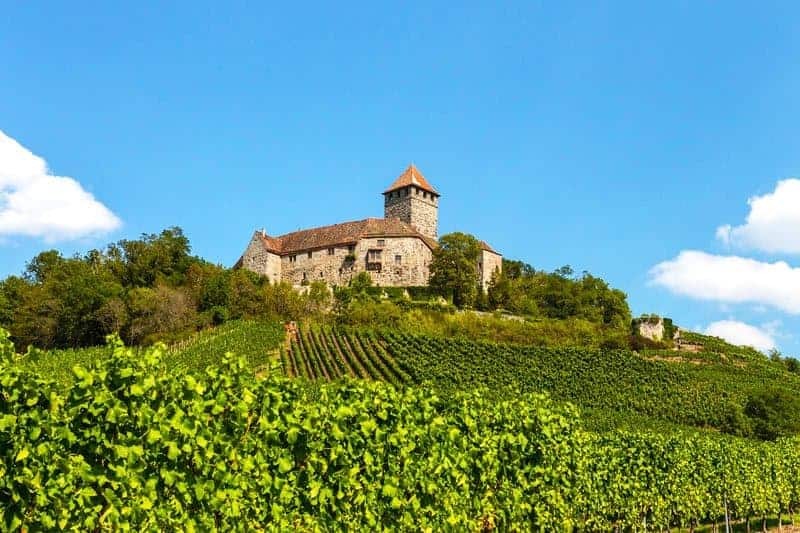 The peculiarity of this winery throughout the centuries was the growth and production of only one variety of wine, although today it grows Riesling and a small quantity of Pinot Blanc. For the growth of the grapes, the winery uses exclusively organic fertilizer and encourages natural predators in an attempt to maintain the use of pesticides to a minimum. All harvesting is done by hand and their wines are still produced according to the ancient techniques. After over 200 years, in 1548, Spain meets its first winery, the Can Bonastre. The company’s vineyards stretch on over 100 hectares of land and count over 50 grape varieties, including Chardonnay and Sauvignon Blanc, Pinot Noir, Merlot, Cabernet Franc, and also Tempranillo, a native variety. The winery prioritizes the quality of its wines, paying a meticulous attention to all the aspects of the winemaking process. Today, the Can Bonastre produces 13 different varieties of wines, most of them unique due to the creativity used to blend several varieties. The second oldest wine company in Spain is Codorníu winery. Founded in 1551 and located in the region of Catalonia, the company is a pioneer in regard to the production of cava wines bottled in hollow bottles. In fact, the first hollow bottles date back to 1872 when the family bottles the first sparkling wine in a bottle different from the others. Today, the Codorníu’s sparkling wines are still produced and bottled according to the traditional method. urprisingly enough, one of the oldest wine companies in the world is not located in Europe, but in Mexico. The foundation of the company is a contribution of Spain, who brought the winemaking techniques from Europe to Central America. Located in Parras de la Fuente, the company was established in 1568 and started to produce wine for the masses 29 years later. The winery is famous mostly for its delicious Chardonnays and it is safe to say that it is the first winery in all America﻿﻿﻿﻿s. Lastly, we go back to the heart of Europe, more precisely in Alsace where the Dopff family established the Dopff-Au-Moulin winery in 1574. Since then, the family dedicated itself to the production of some of the finest wines in the region. Dopff-Au-Moulin is considered the inventor of the exquisite Crémant d'Alsace, a wine that is a consequence of the grapes grown in a favorable climate and good soil and that is made through a special technique that implies a second fermentation in the bottle. The grapes of choice are Pinot Blanc, although the winery is famous for the production of many other wines as well.